It’s a good time to get back to blogging, I think. There’s been a bunch of things over the last year or so that I’ve wanted to talk about but simply haven’t had the time but with the new site, now’s as good a time as any. I watched most of the first season of Arrow and, I’m afraid, didn’t really like it. It wasn’t bad – it was just not engaging enough; I’m not really a fan of the grim ‘n’ gritty approach so I ended up falling away. The first season of Flash, however, I absolutely adored. Sure, early episodes were the by now standard monster of the week style, but all of the characters were played so well and there was a freshness and joy to the series – even amongst the darker episodes – that it quickly became a favourite in our house. Jay Garrick! Yes, there was the tease of his winged helmet in the final episode of season one, but he’s here! Alternate worlds! Yay! 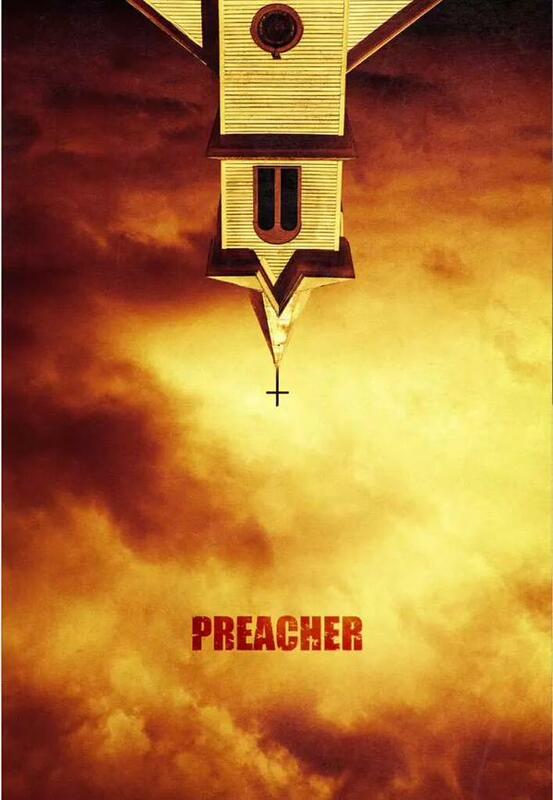 And something else that I’m cautiously optimistic about is Preacher finally getting off the ground and being granted a full series. Sure, Seth Rogen’s name doesn’t fill me with wonder as about the only thing I really know by him was the woefully inadequate Green Hornet, but I’m willing to give this a go. I’m just waiting for the American fundamentalist Christians to start shrieking either at the poster on the left or once they get wind of the content of the series. Posted on Thursday, September 10, 2015 Monday, October 15, 2018 by GaryPosted in Film/TV, NewsTagged Flash (Barry Allen), Flash (Jay Garrick), Preacher.